Linda Anne DellaVecchia, 70, of Bristol, passed peacefully early Tuesday morning, April 2, 2019 surrounded by the love of her family. She was the wife of the late Louis DellaVecchia. Linda was born in Bristol on July 21, 1948 a daughter of the late Arthur and Rose (O’Brien) Sandstrom. 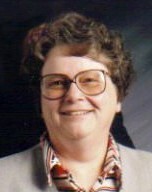 The family lived in Mattoon, IL for a time and Linda attended the University of Illinois majoring in French languages. Later, the family returned to Bristol and Linda worked as head teller for Bristol Savings and later Webster Bank. She was an avid reader, enjoyed 10 pin bowling and travelled throughout the U.S. and Europe. She leaves her children, Eric DellaVecchia of Collinsville and Nicole DellaVecchia (fiancé James Magee) of Oakville; brother and sister Brien Sandstrom and Susan LaVecchia both of Wilmington, NC; granddaughter Haven DellaVecchia and several nieces and nephews as well as grand nieces and nephews. Calling hours will be held on Sunday, April 7, 2019 between 3:00 and 5:00 p.m. at O’Brien Funeral Home, 24 Lincoln Ave., Forestville/Bristol and on Monday, April 8th beginning at 10:00 a.m. until the funeral service begins at 11:00 a.m. Committal and interment will follow in Forestville Cemetery. In lieu of flowers, donations may be made to American Cancer Society, 825 Brook St., Rocky Hill, CT 06067 (www.cancer.org). To leave an online message of condolence or to share a memory or a photo, please visit Linda’s tribute page at www.OBrien-FuneralHome.com.